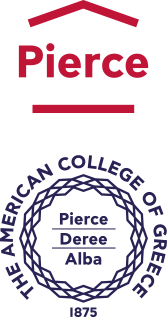 ACG’s mission is to provide students with a global, transformative, and unique educational experience. An exciting part of that experience is the opportunity to choose from a plethora of Academic Advancement Programs (AAP), which include European and international tournaments and championships. Participation in the Academic Advancement Programs provides bright, talented, and hardworking students the opportunity to apply their knowledge and skills in creative ways, far beyond the classroom; to learn about leadership in a global context; to be stellar ambassadors for their College, their country, and the institutions and companies that support them; to work with peers from all over the world. And in this way, we can play our part in paving the way to an exciting and hopeful future for the next generation of leaders and global citizens. Every year however, more and more students are unable to attend these events due to financial constraints. 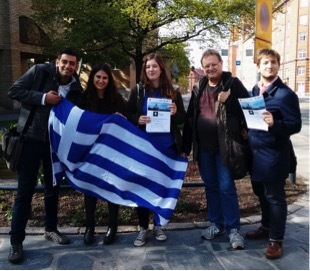 ACG helps them overcome such difficulties by reaching out and fostering collaborations such as the new partnership with AEGEAN, so that every deserving student can have the chance to learn something new, experience a different culture, and create memories of a lifetime! We thank AEGEAN for supporting our mission to provide our students with as many experiences as possible to help them grow, both personally and academically. But most importantly, we thank our new partners for believing in our students’ future as wholeheartedly as we do, and opening up a whole new world of opportunities for them! 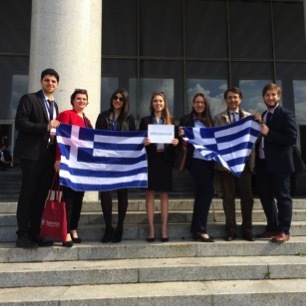 In March, the Deree MUN Club visited Italy for the Harvard World Model United Nations 2016, the most internationally diverse college-level Model UN conference, with over 2,000 university students from over 115 countries attending each year. To take a break from the conferences, the delegates visited Vatican City, where Pope Francis spoke to them in St. Peter’s conference hall. “Pope Francis’ call for love and unity, regardless of race or religion, reaffirms us of the special and unique character of this conference,” said Pavlos. 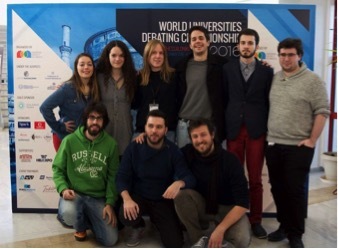 Over the past year, the Deree Debate Club has participated in several international debating tournaments, including the World Universities Debating Championships in Thessaloniki, and the Belgrade and Helsinki Open Tournaments. 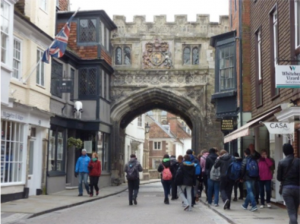 In April, a group of Pierce C Gymnasium and A Lyceum (Year 9 and Year 10) students went on the unique educational trip to London, UK, “Footsteps of Shakespeare,” supplementing their studies with a visit to immerse themselves in the English culture as they have learnt it through the literature they have studied in their English classes. In the span of 5 memorable days, the students visited Stratford-upon-Avon, the focus of this year’s trip, and other towns and cities associated with a literary or historical figure such as Oxford, Bath, Stonehenge, and Salisbury. 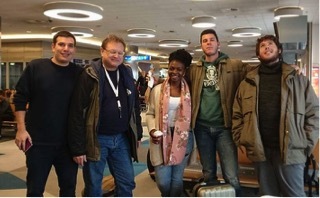 Over Easter, the Pierce Tennis Team took part in a thrilling tournament in Belgrade, Serbia. The team had the opportunity to train alongside some of the best tennis players of their age group!